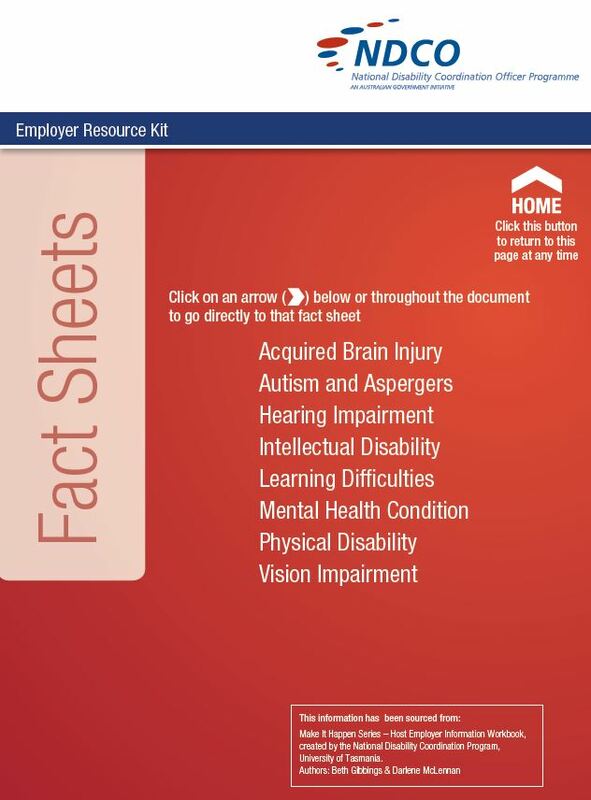 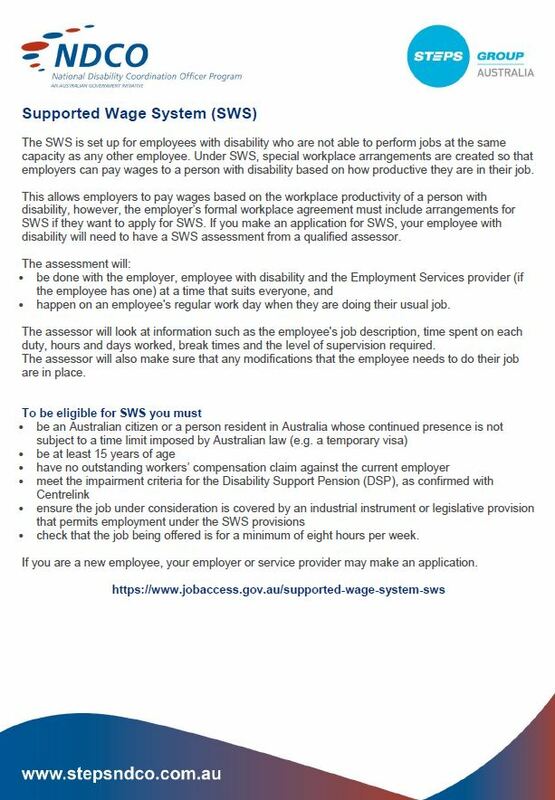 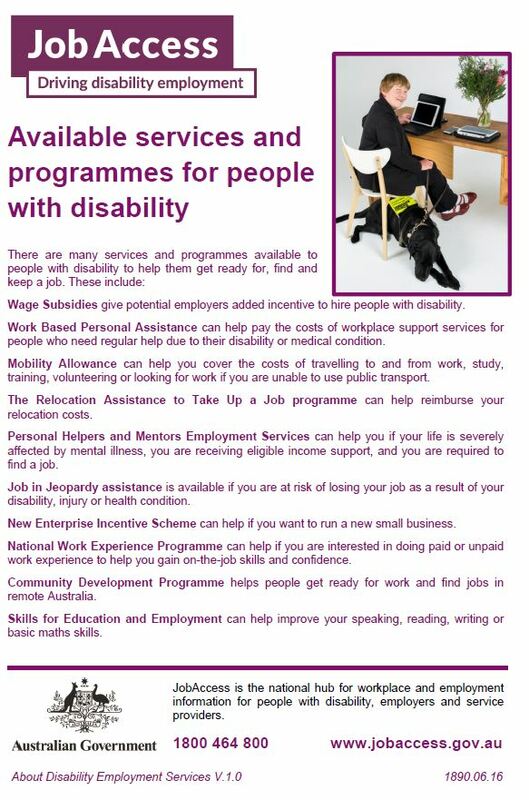 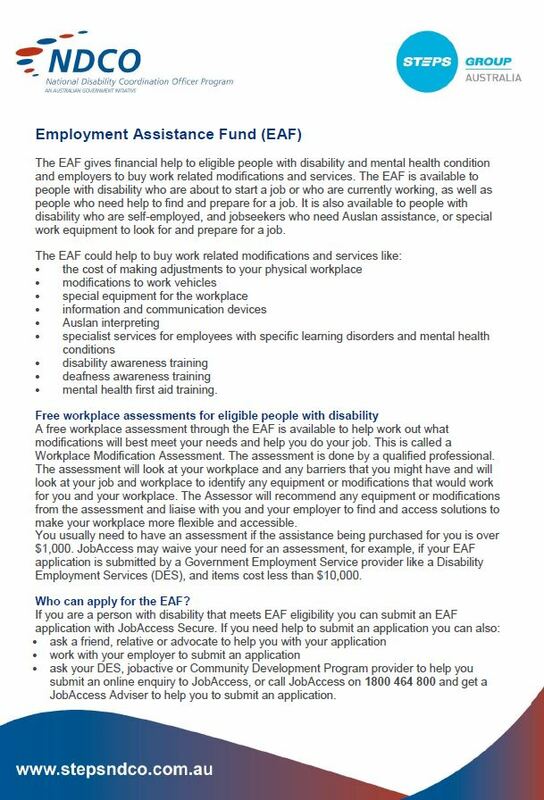 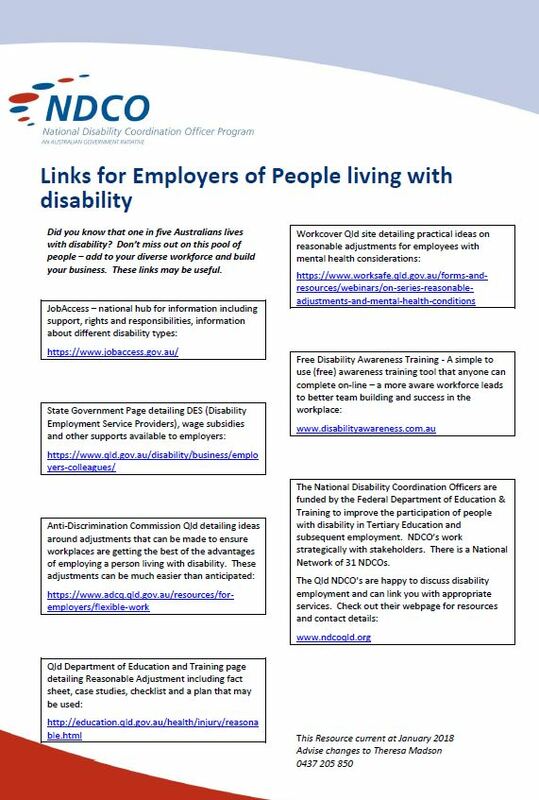 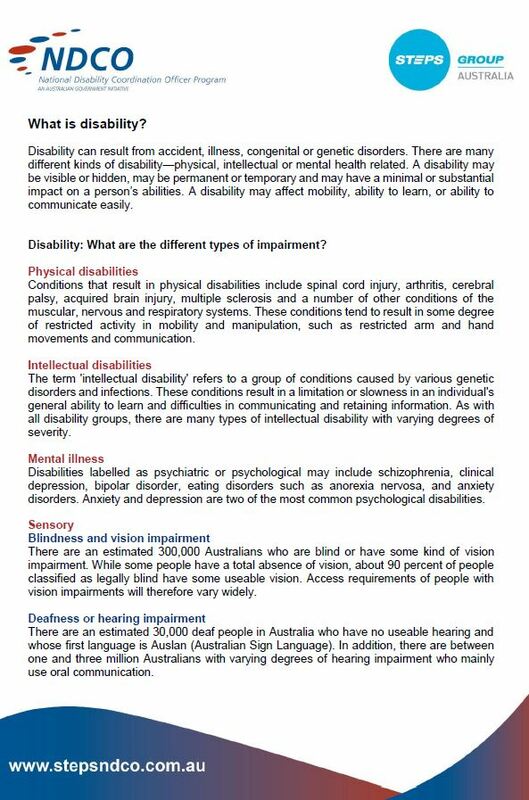 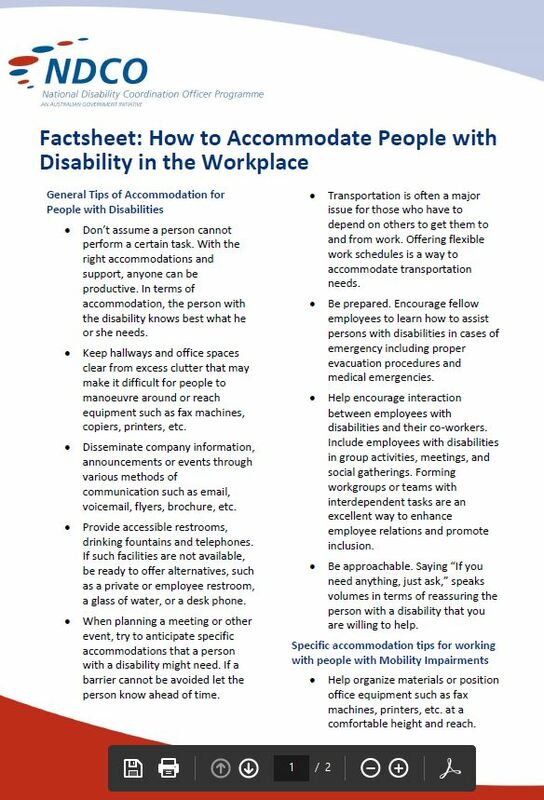 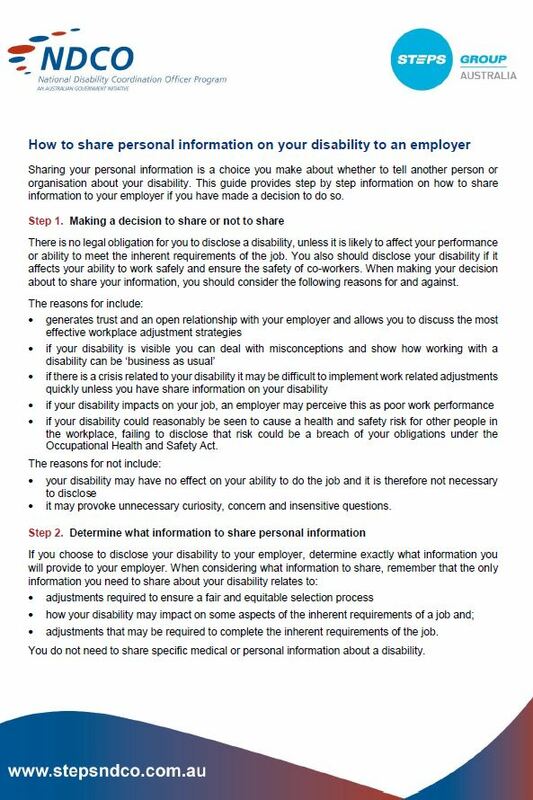 Disability Employment Service Factsheet Disability Employment Services (DES) help people with disability find work and keep a job. 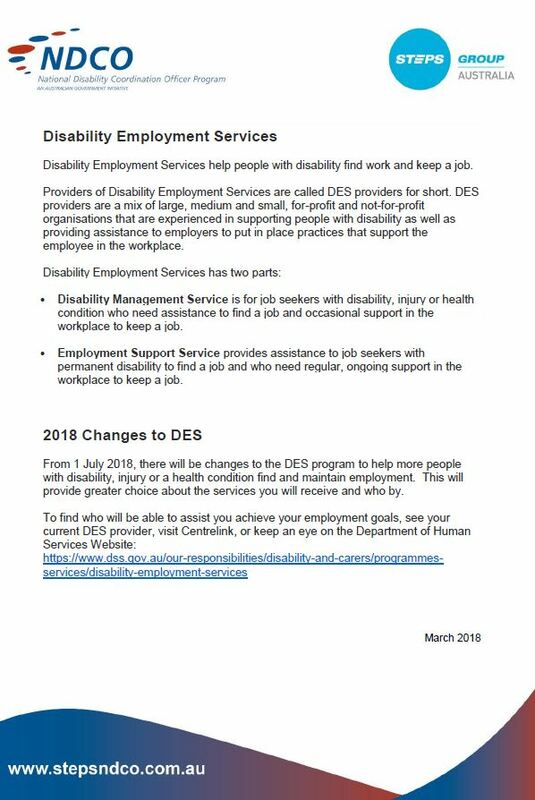 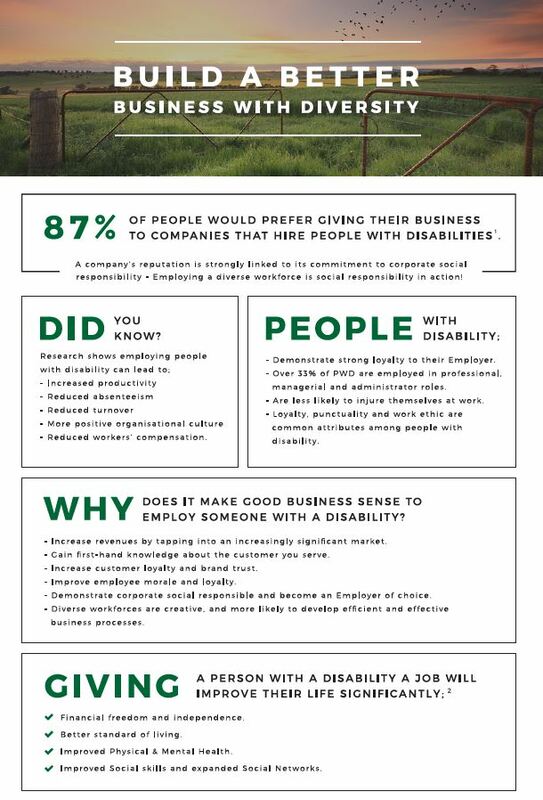 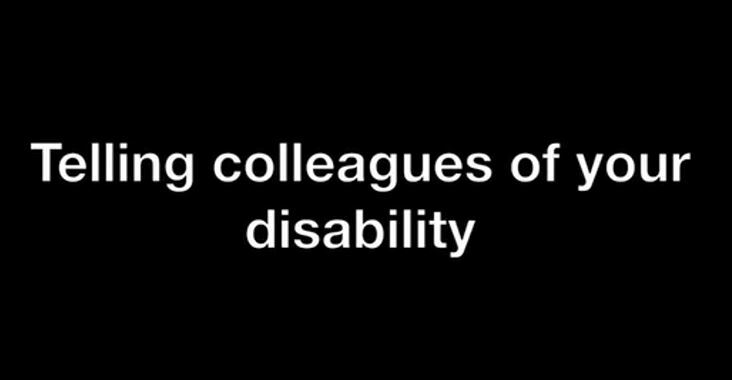 DES providers are experienced in supporting people with disability as well as providing assistance to employers to put in place practices that support the employee in the workplace. 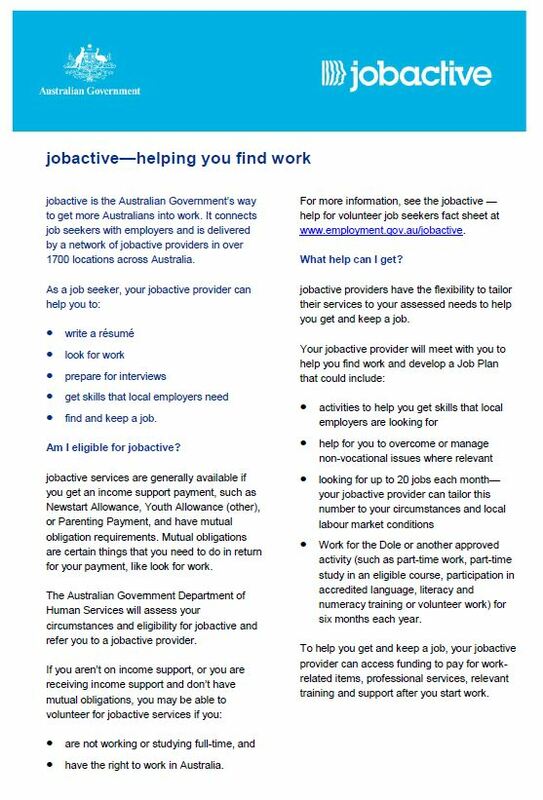 Australian Jobsearch Jobsearch is a free online website to assist with finding employment and finding great staff. 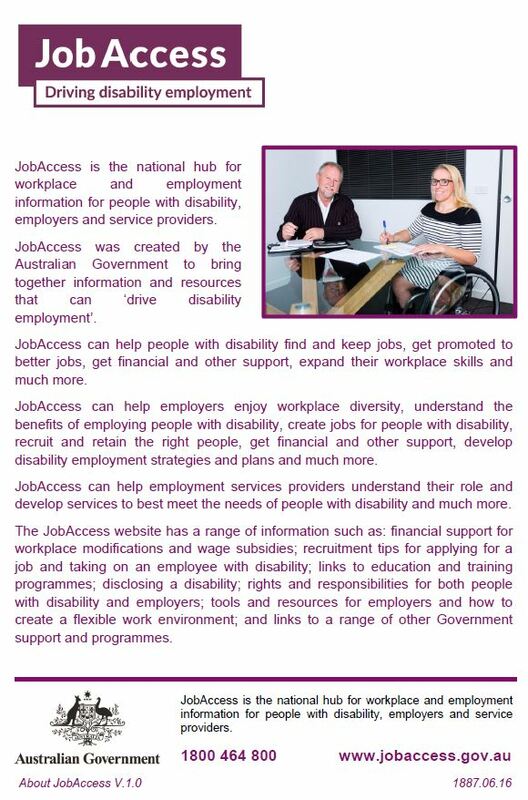 Highlights all the Government initiatives available for jobseekers and employers. 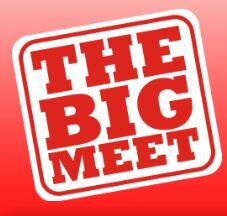 The Big Meet The Big Meet provides an opportunity to connect with organisations offering a range of graduate employment, voluntary work, gap years, international internships, vacation work, postgraduate education, teaching, travel and overseas opportunities. 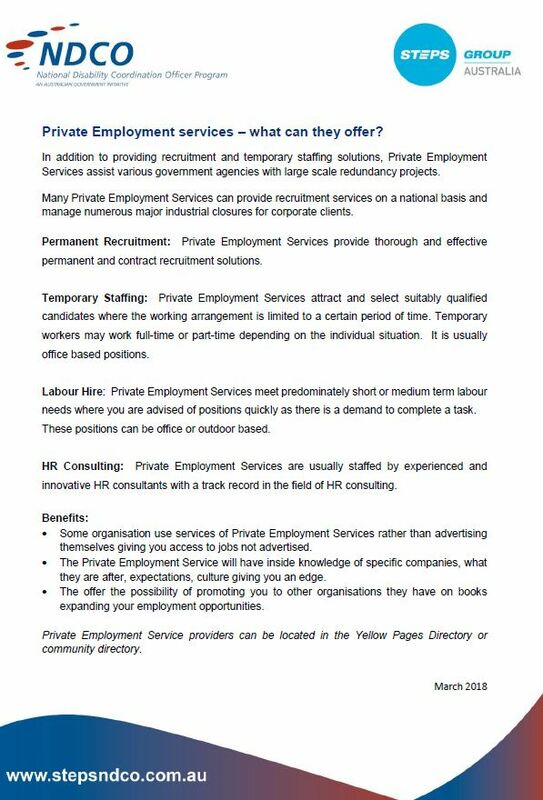 GradAustralia GradAustralia is a specialist provider of graduate opportunities. 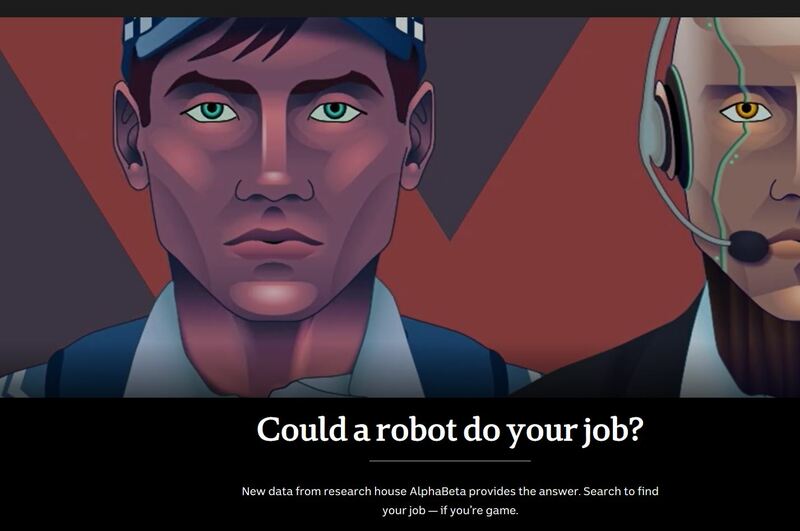 Search graduate jobs and internships including tips to finding the right job and getting hired. 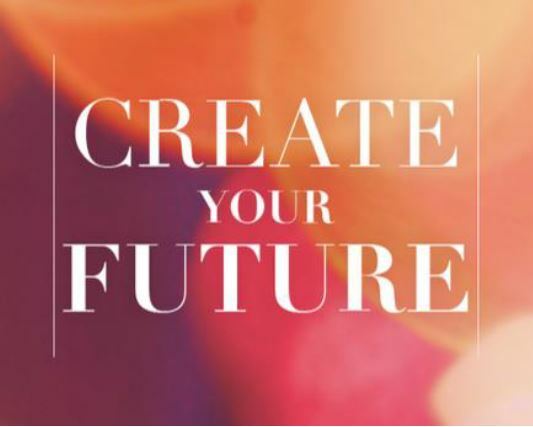 GradConnection Grad Connection connects you with employers offering graduate jobs, vacation programs, work experience and internships. 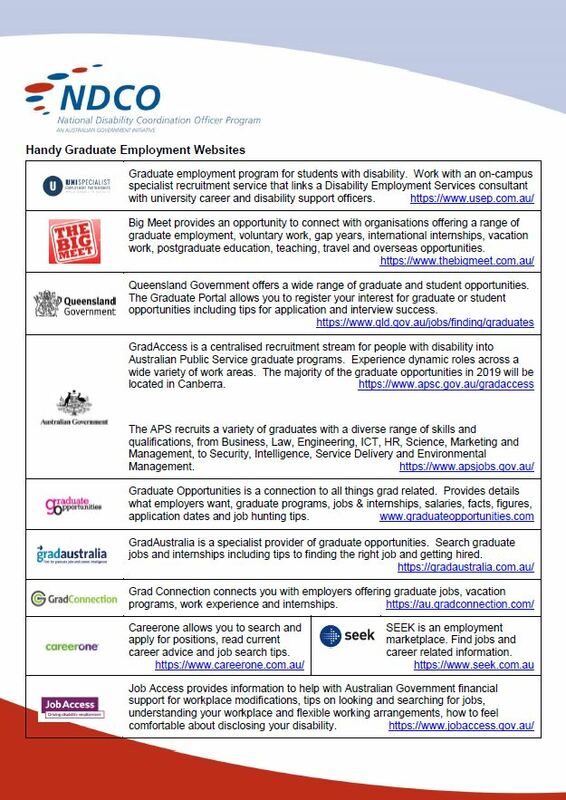 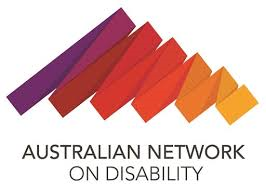 Australian Government GradAccess GradAccess is a centralised recruitment stream for people with disability into Australian Public Service graduate programs. 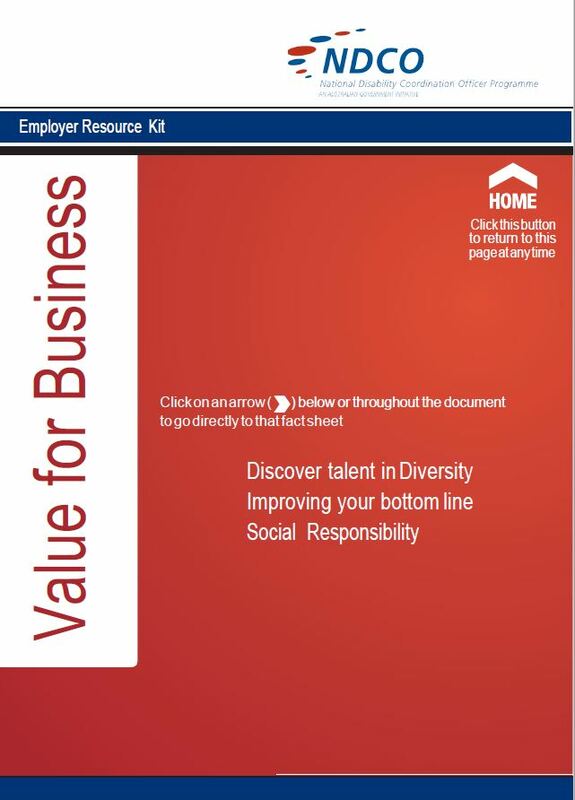 Experience dynamic roles across a wide variety of work areas. 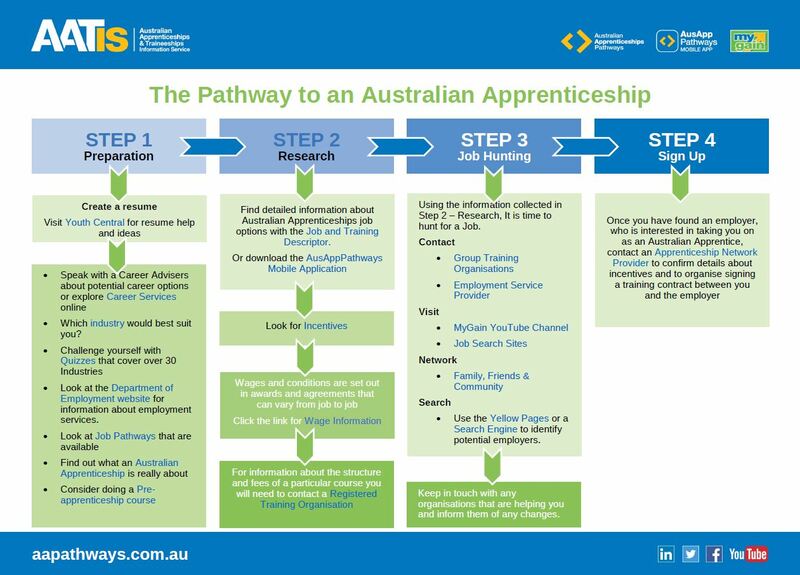 The majority of the graduate opportunities in 2019 will be located in Canberra. 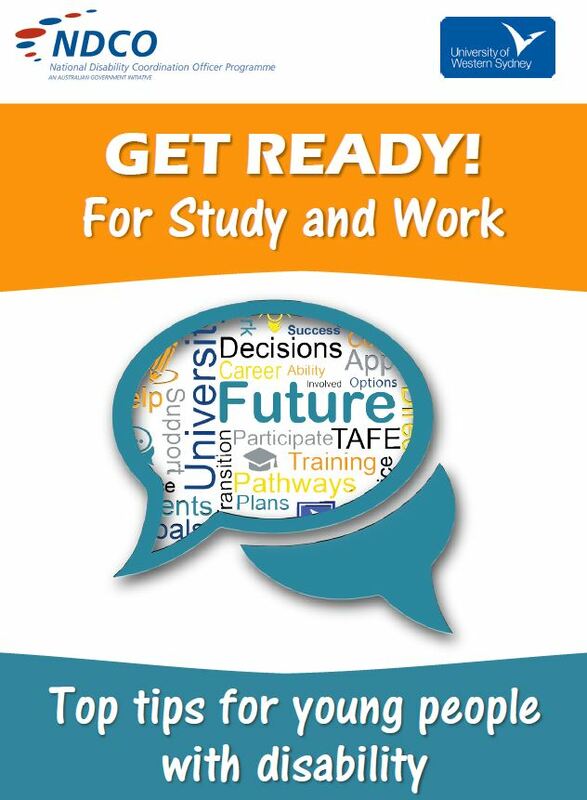 Queensland Government: Graduate Portal Queensland Government offers a wide range of graduate and student opportunities. 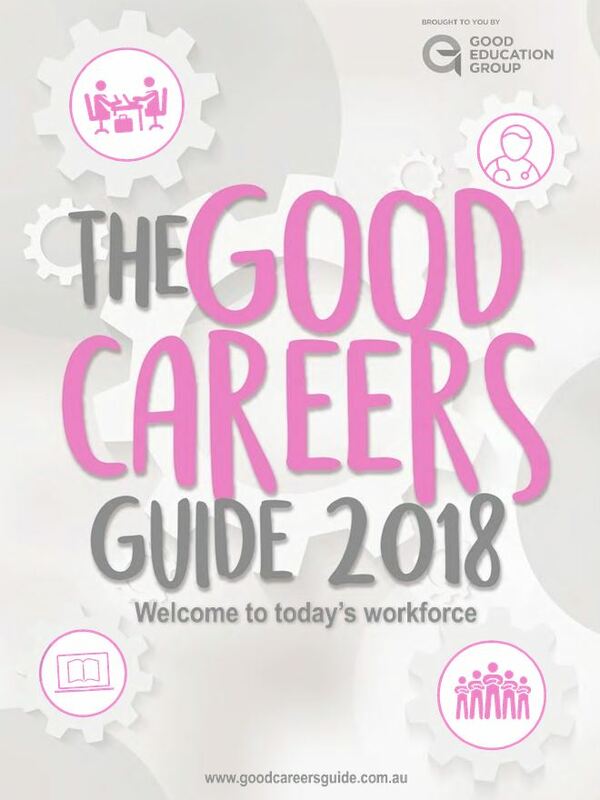 The Graduate Portal allows you to register your interest for graduate or student opportunities including tips for application and interview success. 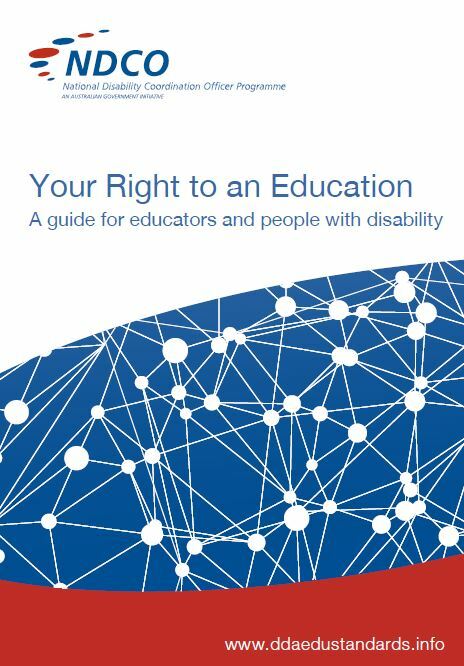 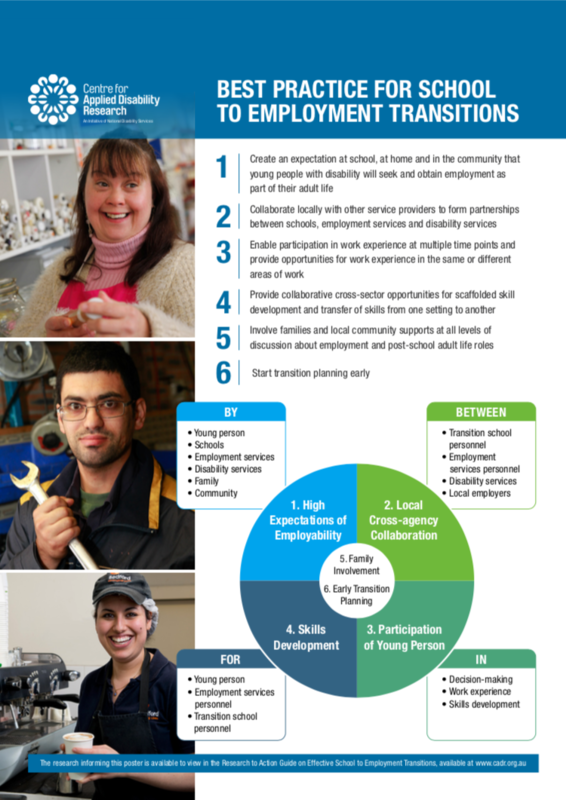 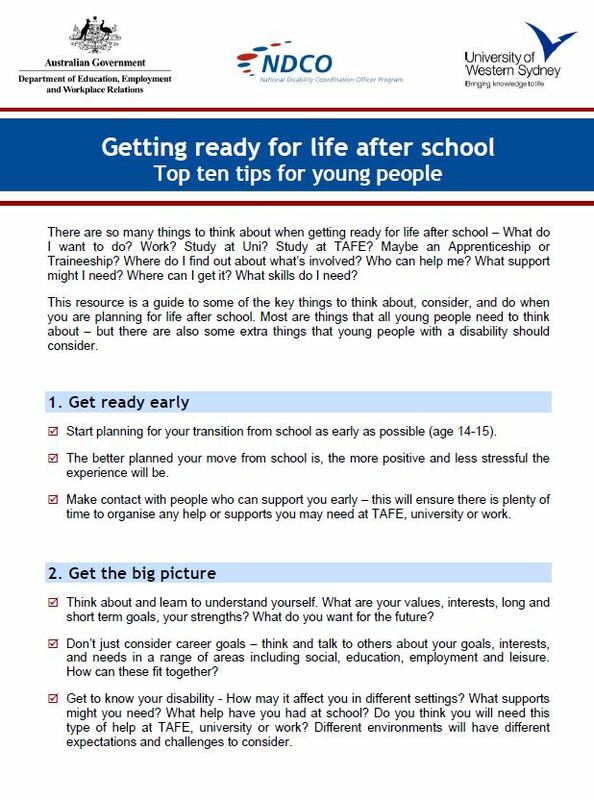 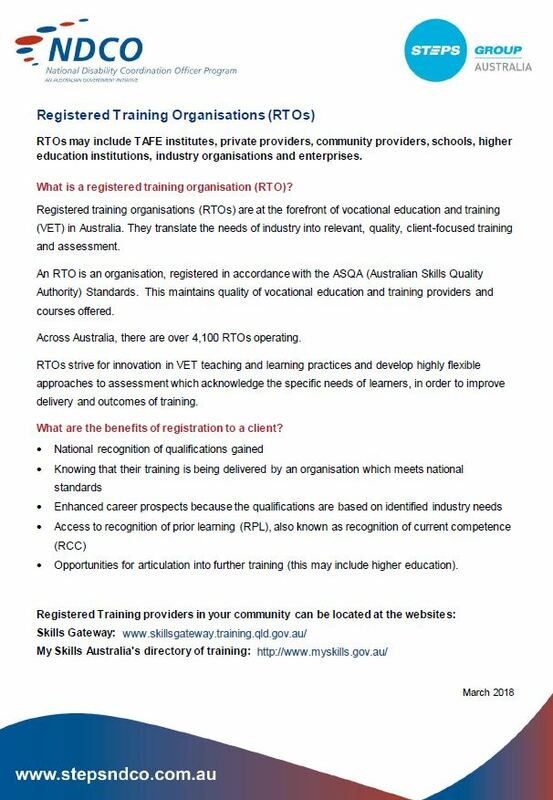 School to Employment Transitions – Best Practice Poster The top six tips for schools to implement in order to influence positive transitions into work for their students with disability. 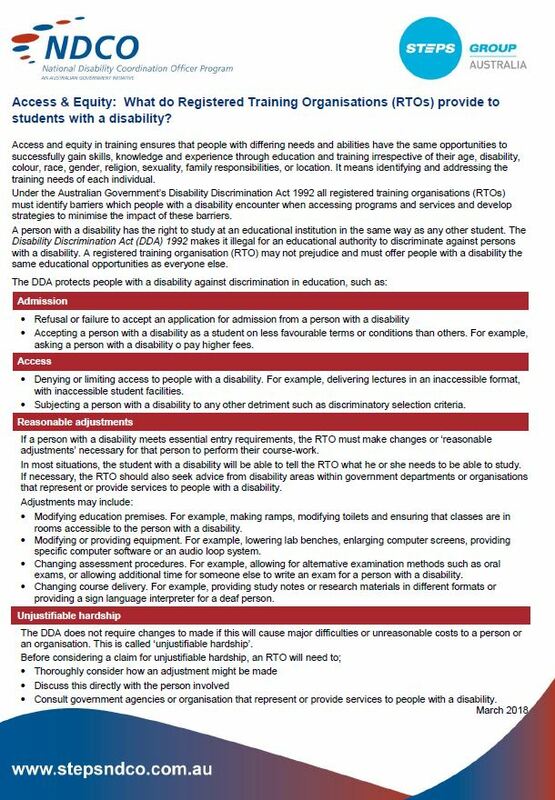 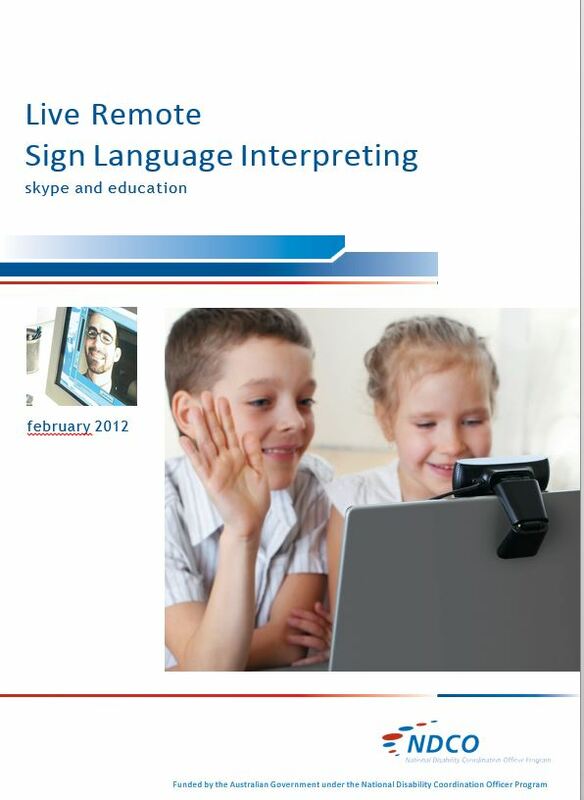 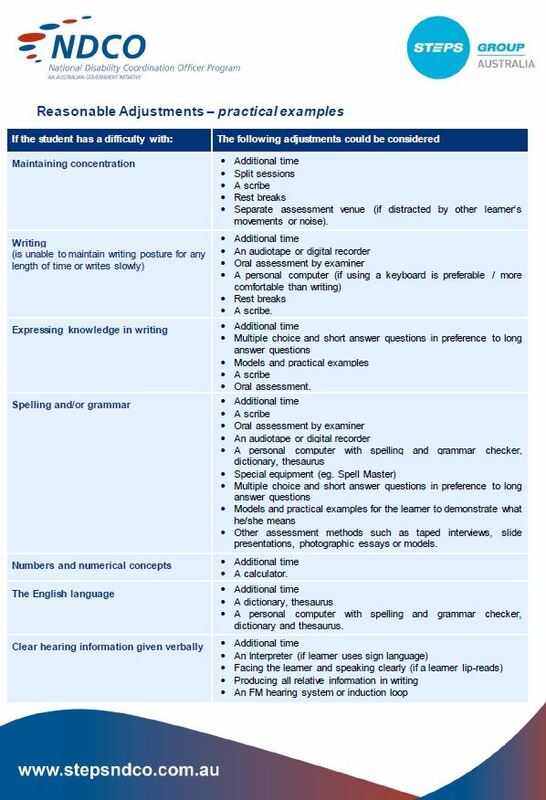 A Poster, there is also a long form research and explanation available on the CADR website. 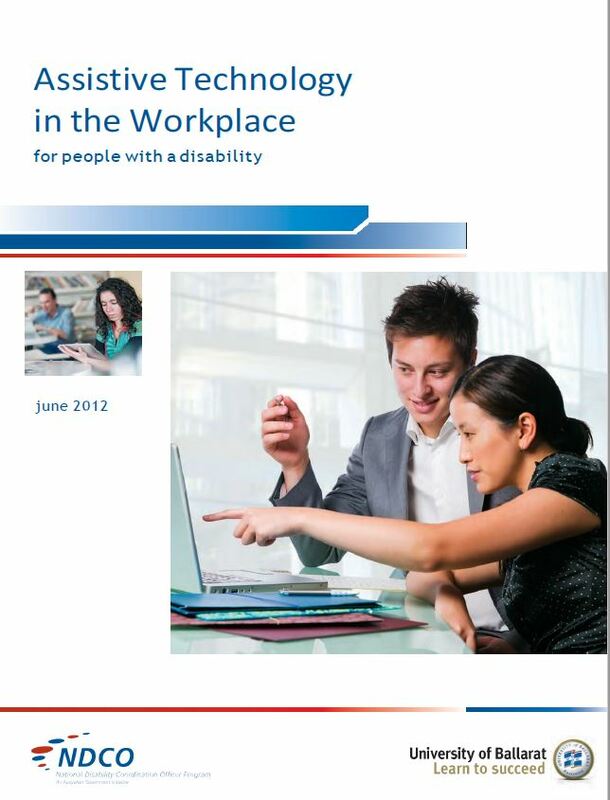 Webinar: The Neurodiverse Workforce presented by Specialisterne Webinar presented by Specialisterne covering topics such as: strategies for supporting individuals on their transiton to employment, exploring ideas for workign with employers to think differently about their recrutiment process and the autism advantage.